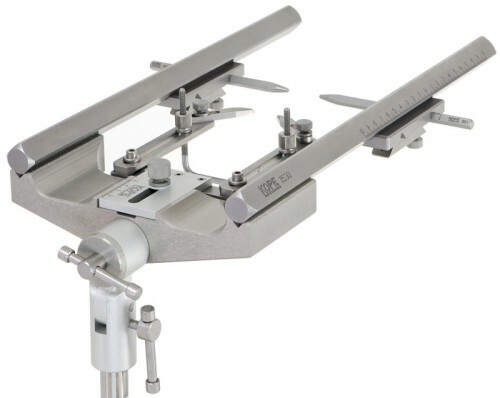 Model 1530 Stereotaxic Instrument is a rigid, heavy duty unit that enables precise alignment of laboratory animals for stereotaxic surgery. Modular in design it can be used with a wide variety of adaptors. Animals from the size of a beagle dog down to and including mice, can be placed with the same ease and precision. This is our most versatile stereotaxic instrument. Stereotaxic “U” frame with one set of double ear bar locators. Click here for Stereotaxic Manipulators that are sold separately.